Route. 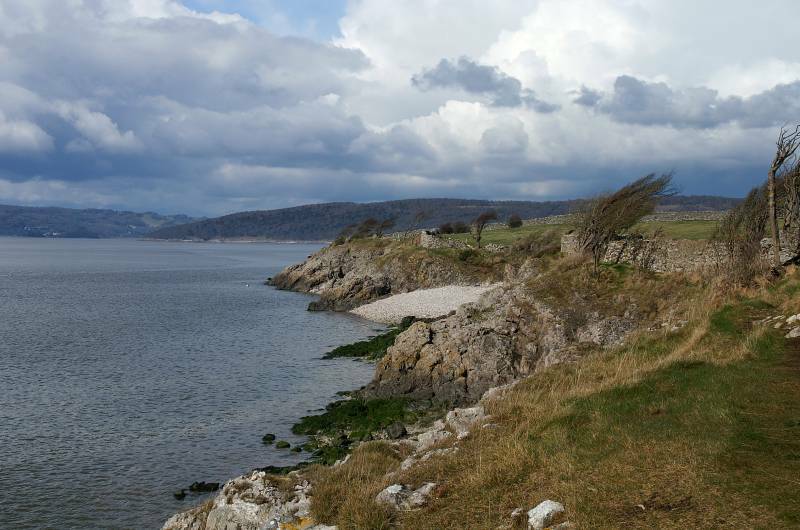 Silverdale - Know End Point - Jack Scout - Jenny Brown's Point - Heald Brow - Woodwell - Silverdale. Notes. 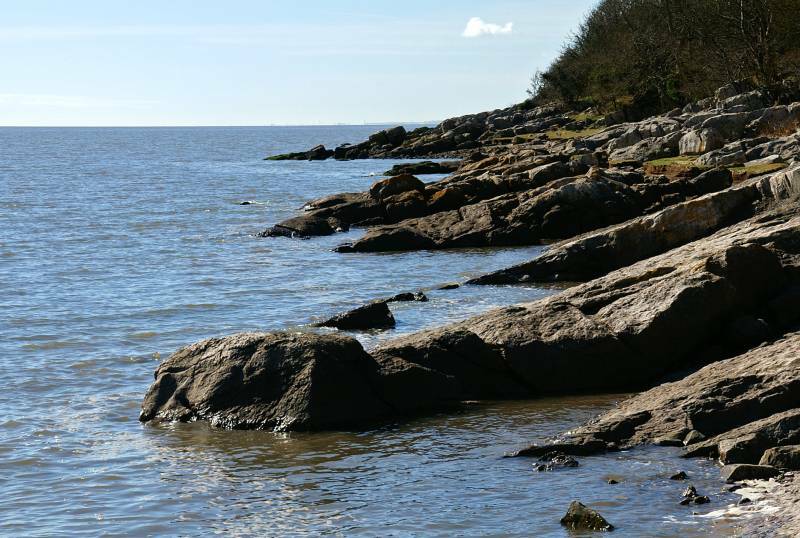 After a grey start to the day, in fact it was quite miserable in Kendal, we decided to have an afternoon ramble along the Silverdale coast and take in some of the delights this short stretch of coast line has on offer. Scrub, ancient coppiced woodland, limestone grassland, pastures, wonderful sea washed limestone cliffs, not to forget a hefty slice of history, and a first for us, in the twenty or so years we've been walking this small area of Lancashire we've never seen a high tide at Jenny Brown's Point. 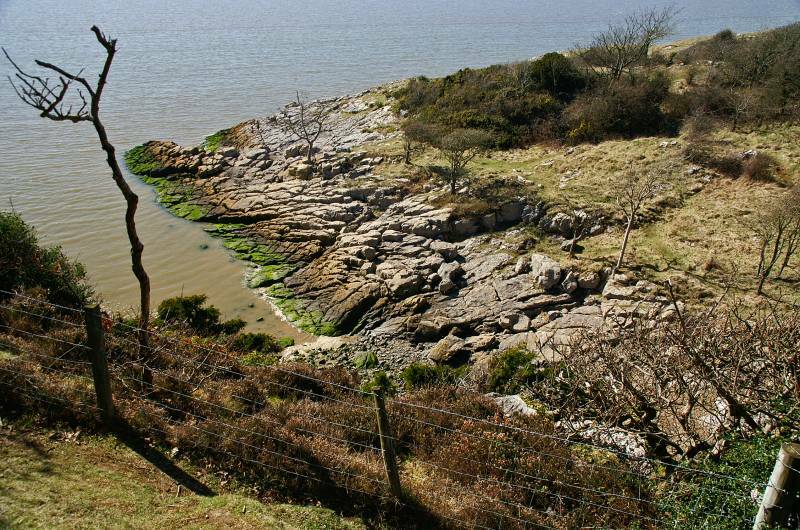 Our afternoon started on the beach at Silverdale heading south over what remains of the sea washed turf that once grew the length of this coast, rounding Know End Point before the high tide forced us onto the cliff path. A wonderful airy walk followed before Cows Mouth Cove saw us back at sea level, the cliffs at Cows Mouth look quite impenetrable. 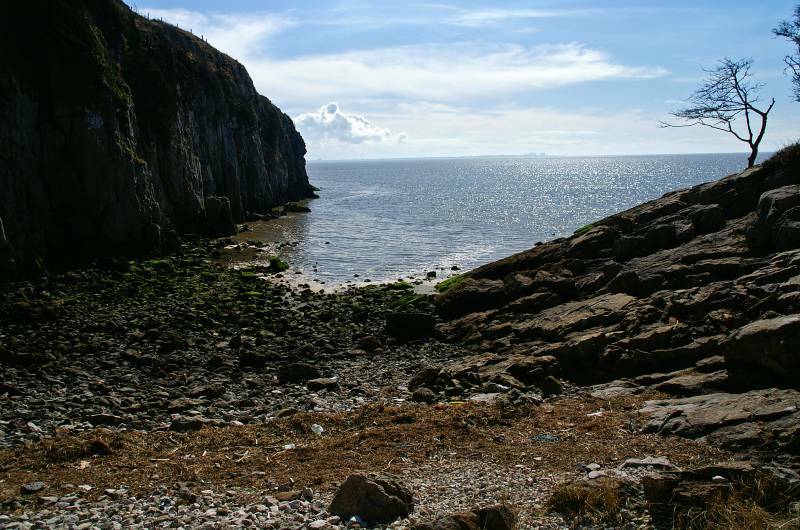 We turned our backs on the sea to cross a step-stile, immediately to our right an exhilarating scramble awaited us, the Jack's Rake of the Silverdale coast, appropriately allowing access to Jack Scout. 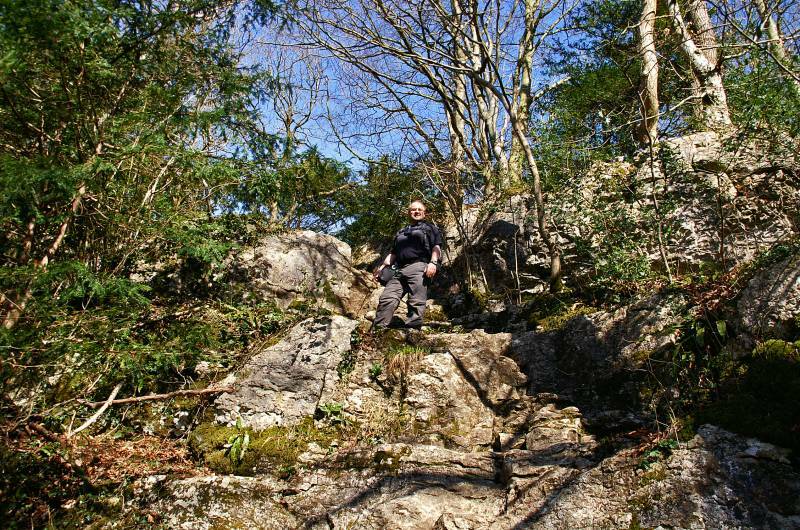 A brief visit to the Giants Seat then off to Jenny Brown's Point, rounding the point passing the Browns Houses with their re-claimed ships timber roof supports, shortly followed by the Smelt Mill Chimney before ascending Heald Brow. 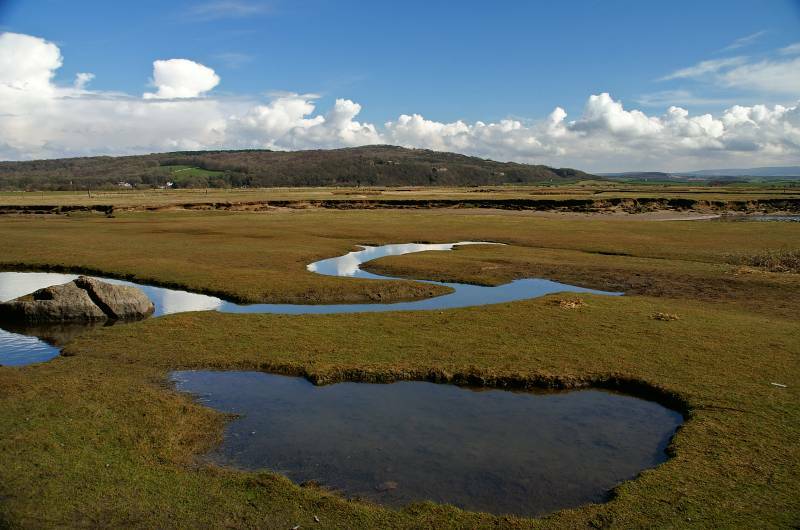 We then headed back to Silverdale striding out through limestone grassland. As we left the fields a finger-post gave directions to Woodwell, this is a delightful place, cool even at the height of summer, the pool and spring once provided water for the villagers and their beasts, now the home to a multitude of insects, shoals of small fish, if you care to look to the tree tops there is ample bird life to be found. 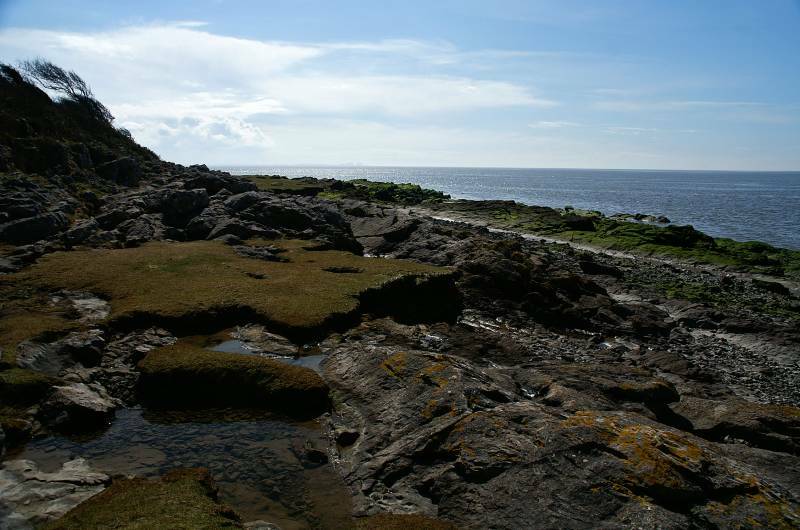 Our route ascended the cliffs to the left of the spring, followed by a short walk through woodland then grassland before stepping onto tarmac, a short walk down the hill saw us back on the beach. 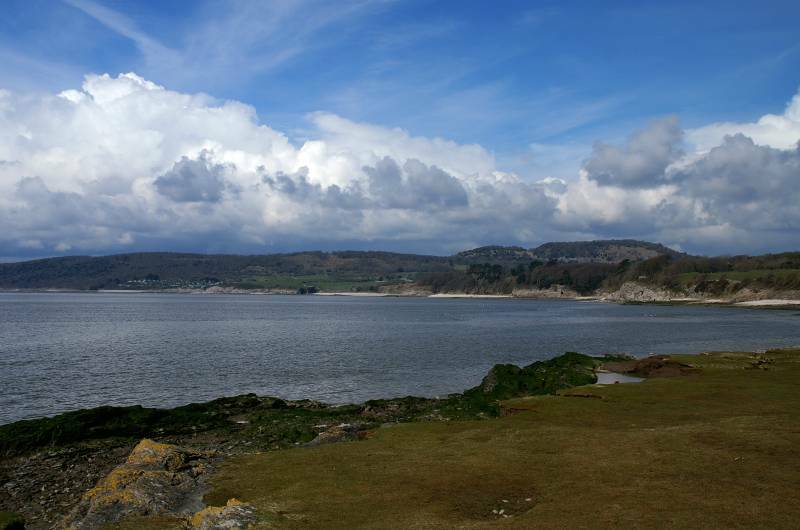 En route to Know End Point looking to Heathwaite with Arnside Knott just visible above the limestone cliffs of Silverdale Cove. A wider angle taking in Arnside Park, Heathwaite and Arnside Knott. 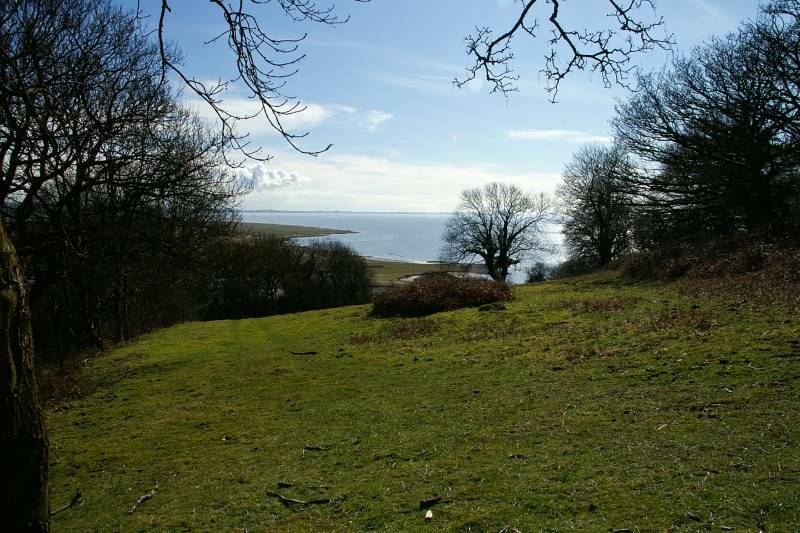 Know End Point with an endless view across the rising waters of Morecambe Bay. 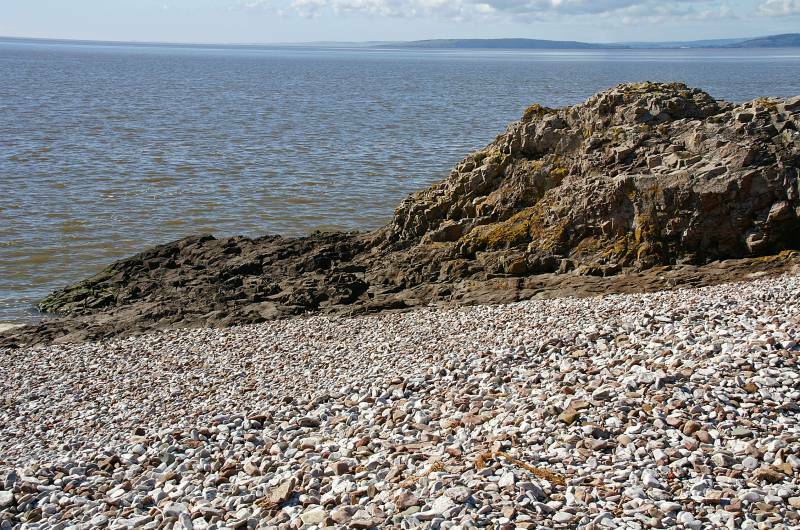 Seen from one of many delightful shingle beaches along this coast Humphrey Head. 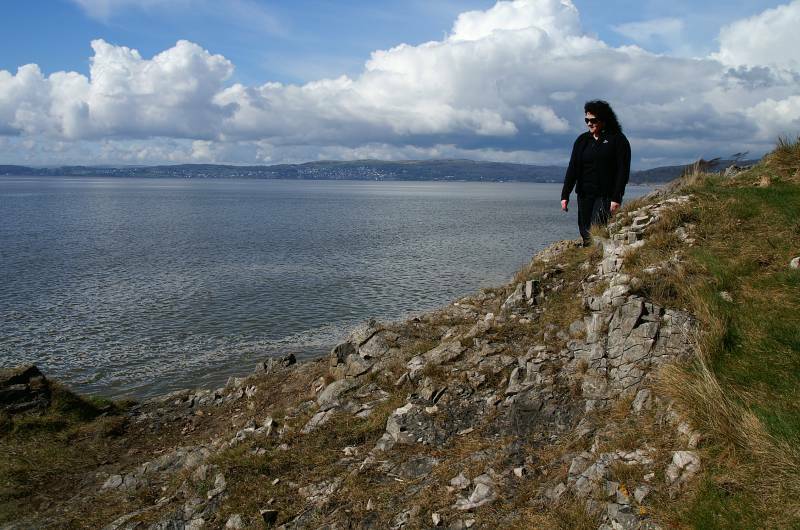 Sue strides out above limestone cliffs, with stunning views to Grange-over-Sands. 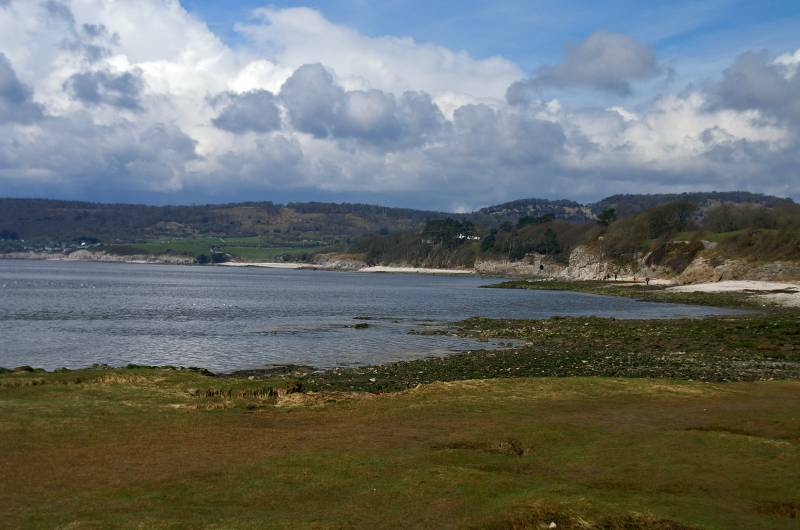 On the cliffs near Cows Mouth Cove looking to Arnside Park. Cows Mouth Cove, I mentioned this last time I was here, I think it's worth mentioning again, this was one of the few places along this coast where a breach in the cliffs allowed the cattle drovers from Ireland and Scotland to bring their animals ashore after diving them across the bay, we're not talking a few cows here we're talking thousands driven through this narrow gap. On Jack Scout looking down on the cove. 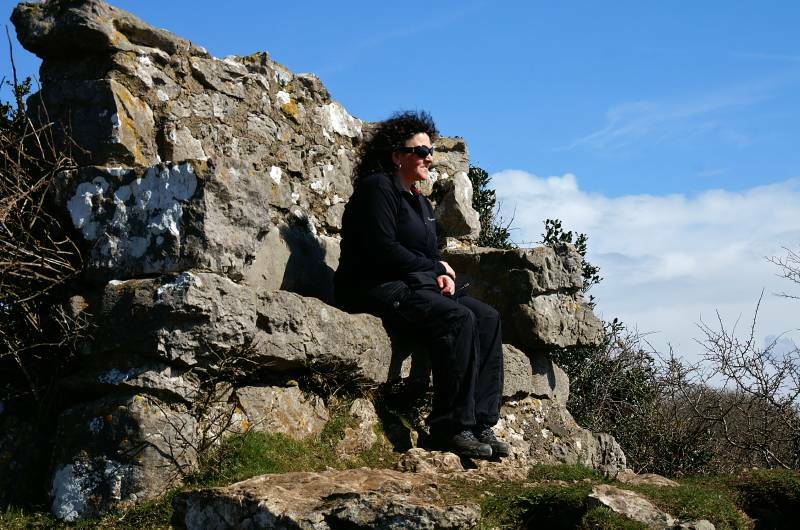 Sue soaks up the views from the Giants Seat. 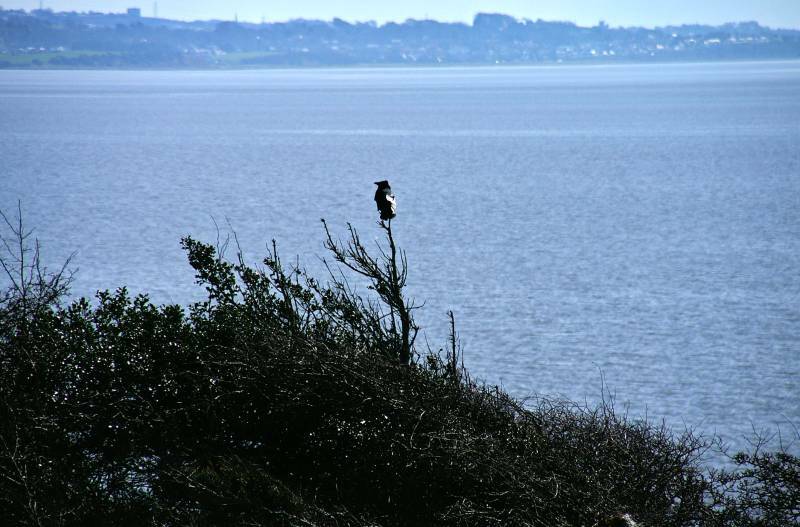 And this is what she's admiring, the vast sweep of the Morecambe coast, you can even make out the Ashton Memorial above Lancaster on the skyline to the left. She's not the only one taking in the views. 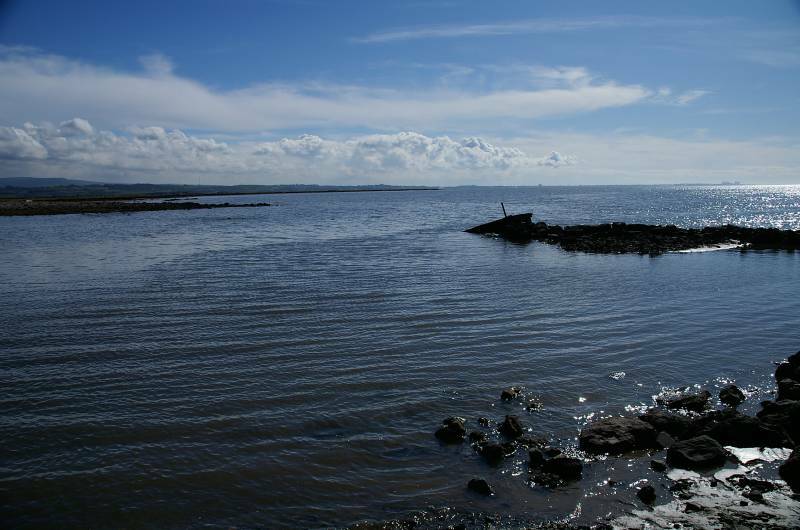 High tide at Jenny Brown's Point. 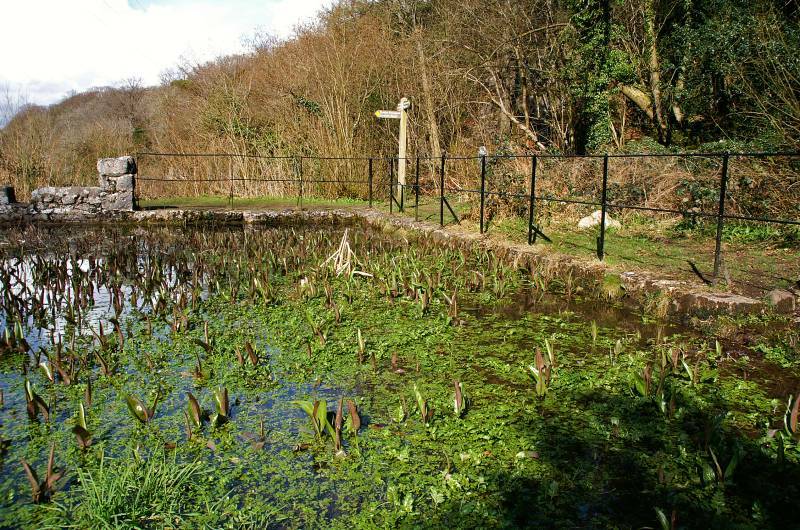 Quicksand Pools, and the remains of a small bridge that crossed this once narrow channel. 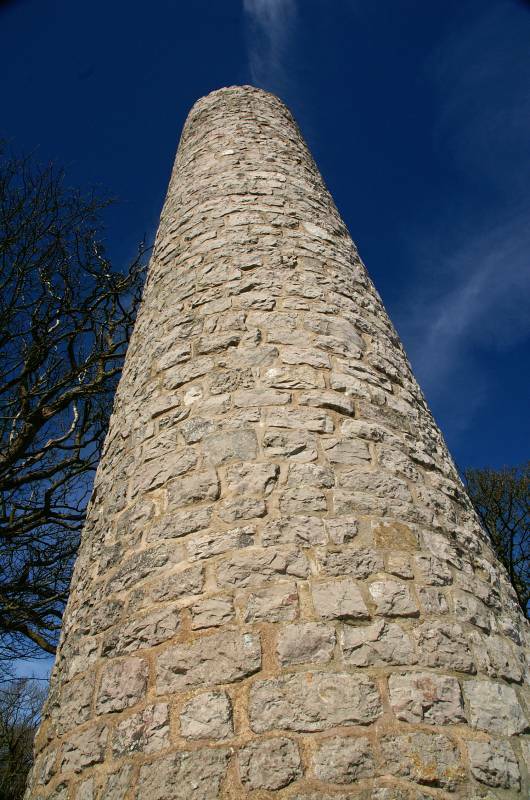 The impressive stone work of the Smelt Mill Chimney. Seen from near the Smelt Mill Chimney, Warton Crag. 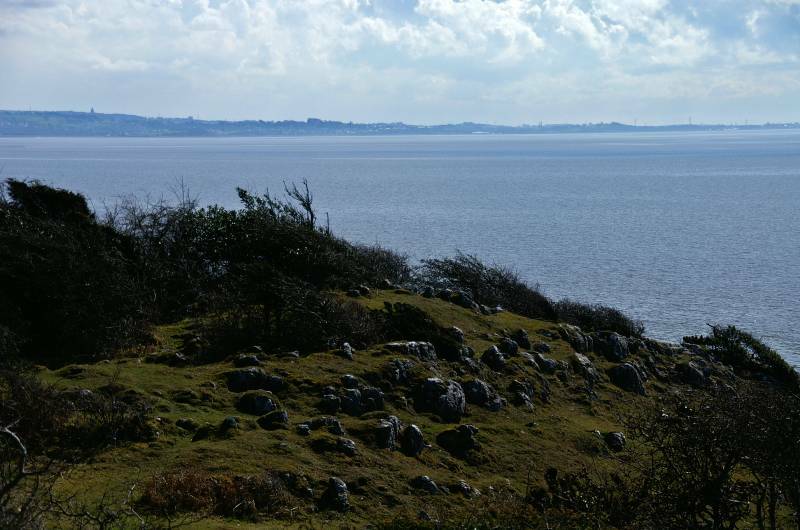 Ascending Heald Brow on a path that once passed through thick scrub, the scrub's been cut back opening up views over the Silverdale coast as far as Heysham. 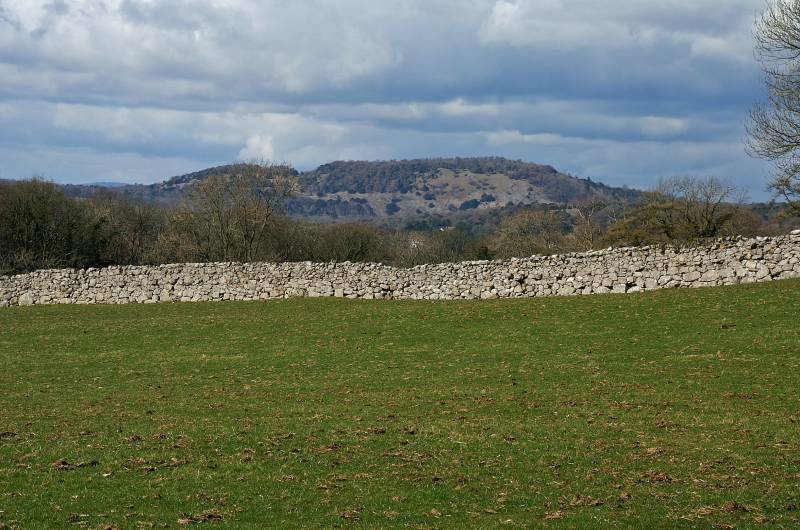 Arnside Knott as seen from the pastures on Heald Brow. 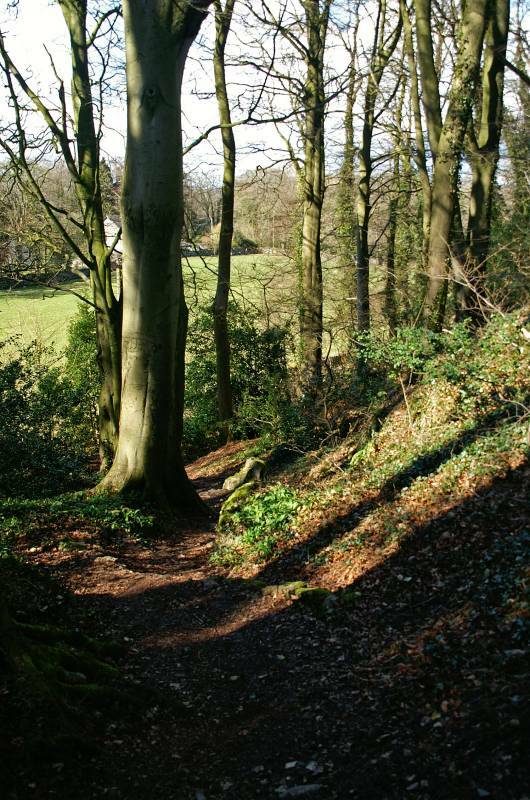 Sue's hiding behind that tree, this is the path to Woodwell. This is a delightful place, the pool at Woodwell. 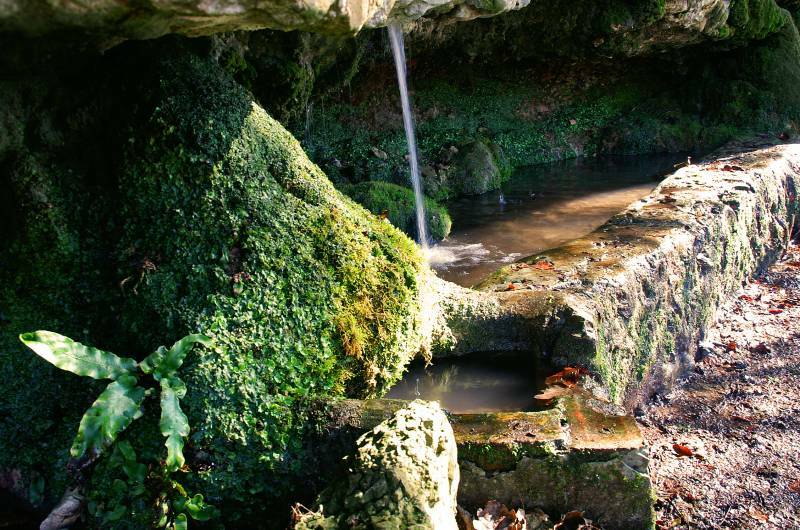 Ice cold water pours from the limestone cliff, this spring and pool was once the only supply of fresh water for the Silverdale villagers and their animals, there are several similar on this small limestone peninsular. Ascending the cliffs to the left of the spring, it's a short walk back from here with plenty more to kindle the interest.